Restaurants are adopting EMV technology, self-service kiosks, pay-at-the-table, and SaaS solutions. Are you developing restaurant software that meets their needs? The restaurant industry has faced unprecedented changes in recent years. Competition has expanded to include other types of businesses adding in-store dining or cafes, consumers are increasingly favoring online ordering for pickup or delivery over dine-in, and the industry has adopted new technology standards for operation and service. 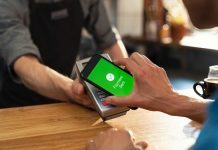 Dye says EMV adoption is still somewhat in question in the restaurant industry, but the number of restaurants implementing EMV payment solutions is increasing. The dynamic chip in EMV cards protects merchants and their customers from card-present fraud — but smaller restaurants don’t see themselves as prime targets. Dye points out, however, “Larger restaurants are recognizing that he who has the lowest form of EMV technology has the biggest fines.” If someone uses a fraudulent card, and the restaurant runs the transaction using the mag stripe — which wouldn’t signal the payment system of the fraud — the restaurant is responsible for the charge and for penalties associated with accepting that card. Dye says all of the initial concerns that restaurants had about migrating to EMV, such as the speed of transactions and how it could accommodate tipping, have been resolved. “Everything that used to be a barrier has gone by the wayside,” he says. Dye adds that consumers, now expecting to be able to use their EMV cards in restaurants like they do in other locations, are also driving adoption to some degree. Dye says that kiosks are also growing in popularity in other niches, like concessions in sports arenas. “They allow customers to place their orders and then notify the customer when their orders are ready so they don’t have to wait in line and miss any of the game,” he says. Although kiosks can be part of a strategy to improve customer experiences, Dye says some merchants are deploying kiosks to balance their budgets and stay in business. In areas where the minimum wage has increased — or is on the way — to $15 per hour or more, kiosks can be a more cost-effective way to take orders and payment than employing staff to do the job. Unlike the fast pace of QSR, Dye says casual and fine dining restaurants are looking for ways to create a relaxed atmosphere for their customers out for a romantic evening or catching up with friends over drinks. Pay-at-the-table technology can help them achieve that. “They can use a tablet at the table, pay on a smartphone app, or use a mobile device that the server brings to their table. Customers don’t have to wait for a server or take payment to a counter, and it adds a sense of security because customers never lose sight of their payment cards,” Dye explains. 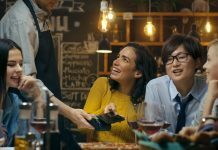 Pay-at-the-table technology also gives restaurants the ability to collect more data on customers, encouraging them to enter their email addresses or connect with the restaurant on social media to receive promotions — like giving guests an offer for 10 percent off a dessert or beverage on their next visit. Dye says restaurants choosing Software as a Service, rather than purchasing restaurant point of sale (POS) software licenses upfront, is also trending. “SaaS is a nice option for these folks. Technology changes so rapidly. Solutions that are $10,000 or $20,000 per lane aren’t the only option these days,” he says. 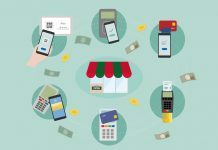 Restaurants that invested in point of sale software a few years ago, found out those systems, especially in light of EMV and other changes, are no longer providing a mode of operation that the restaurant needs. 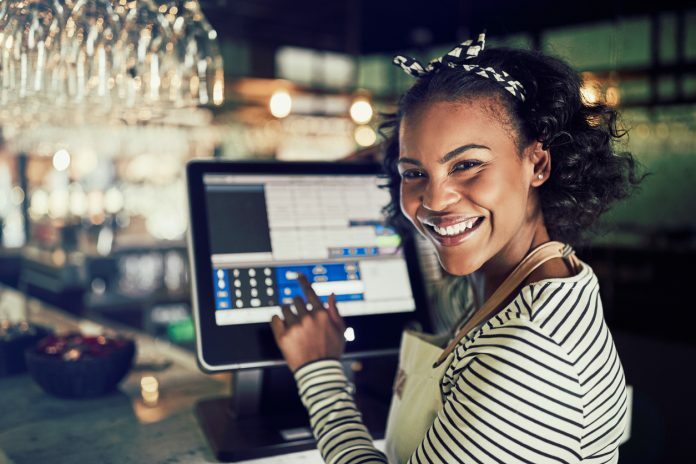 With SaaS solutions, restaurants can have a POS system for less than $100 per month per lane, and SaaS decreases risk if they need to upgrade their software to add new features or additional lanes or locations in the future. What’s Next in Restaurant Software? Dye says there are a few trends to watch that could impact the types of restaurant software features your customers need. One is using third-party online ordering and delivery services, but Dye says to keep an eye on regulations that may limit restaurants’ access to customer data from these platforms. For restaurants with a high level of brand recognition, it may benefit them to accept orders on their own websites or apps, which would allow them to collect and control customer data, rather than accepting orders from a third-party. Another trend is offering cash discounts, which, in effect, allows restaurants to recoup processing fees on payment card transactions. This option is currently available to merchants in all 50 states, as long as they follow guidelines like informing patrons at the door that a discount is available if they pay with cash. 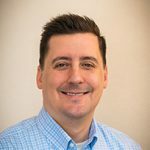 The former owner of a software development company and having more than a decade of experience writing for B2B IT solution providers, Mike is co-founder of DevPro Journal.